Somen is the thinnest of all Japanese noodles. They are almost like vermicelli, and are quick to cook. 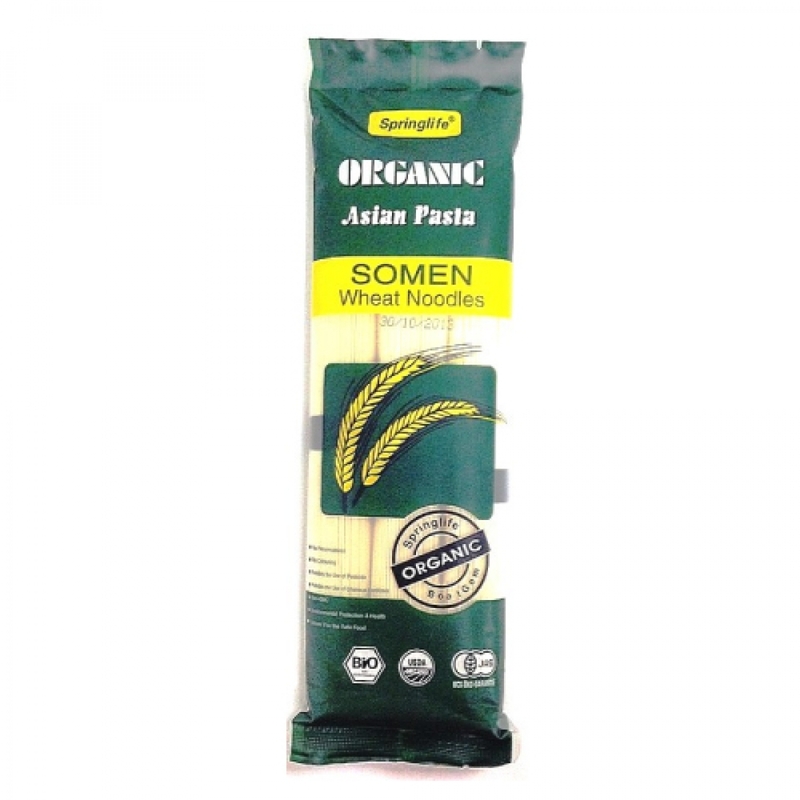 Made of organic ingredients, Springlife Organic Somen Noodles are expertly crafted using traditional roll and cut methods from freshly milled. This noodle can be used all year round in a wide range of Asian and Western dishes, including piping hot noodles in broth, satisfyingly rich stir fries, and succulent summer salads. Cook the noodles in hot boiling water for 2-3 mins and drain. It can be served with soup or stir-fried.